This is an empty Wheaties box that hasn't been broken down, meaning that it is still a box, and not flat. 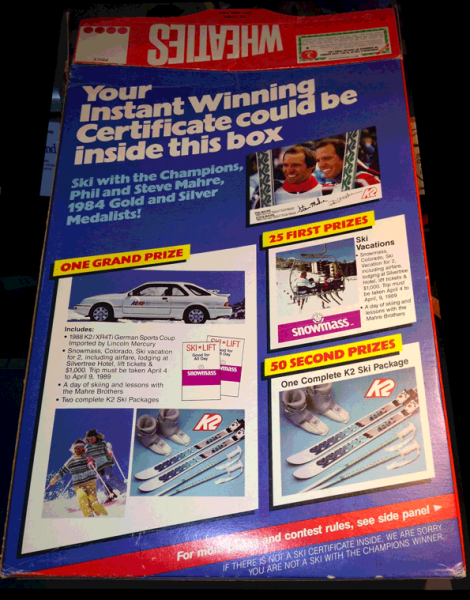 This box is about 25 years old. 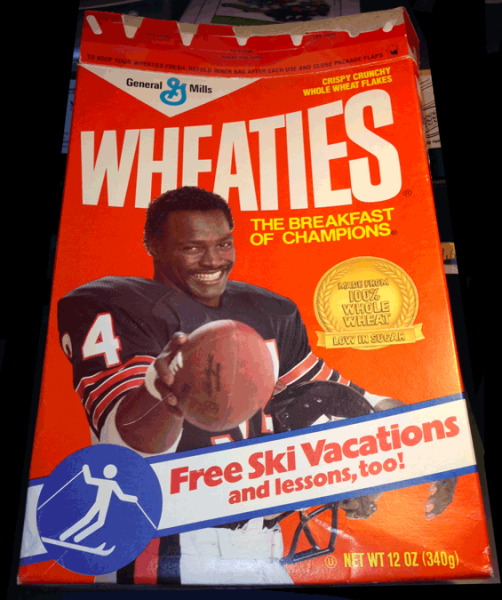 General Mills Whole Grain Wheaties, the Breakfast of Champions, features NFL Football's Walter Payton of the Chicago Bears. This is a 12 ounce cereal box, 10.25 x 7 x 2 inches. It is not in perfect condition. Please refer to the photos below. These were personally collected by Ratcliffe's. 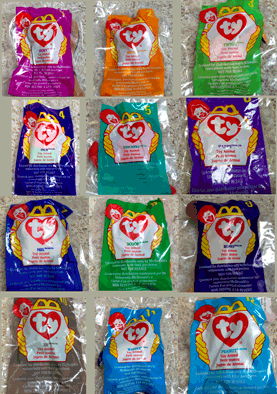 We ate a lot of Happy Meals to get these little toys, and for what? Ah, but it was something at the time - the joy of participating in a nationwide treasure hunt, where full grown adults endured eating children's Happy Meals over and over, all to obtain the right toy. It was like a fever, it's like... Black Friday. It was fun, and was more about participating in the experience than accomplishing the goal. 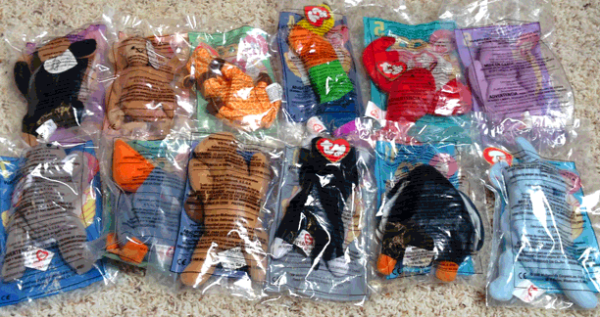 Here you will find the full set of 12: Zip, Bongo, Scoop, Pinchers, Mel, Happy, Inch, Twigs, Bones, Peanut, Waddle and Doby. All unopened in their original packaging. 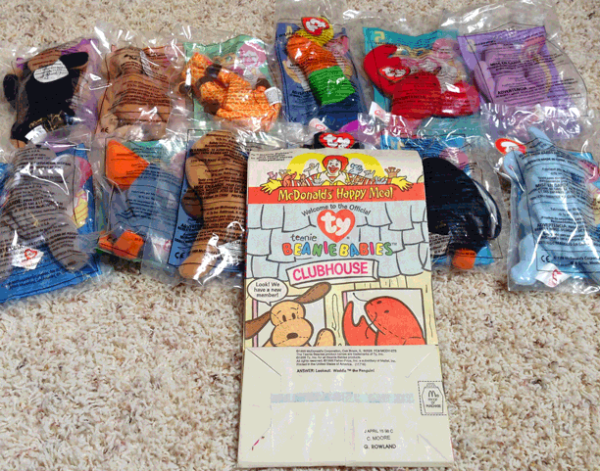 All darling little stuffed toys that should be opened and played with! After all the time, and gas, and food we had to eat, I figure they are at LEAST worth $1.50 each! We'll even throw in a bag!